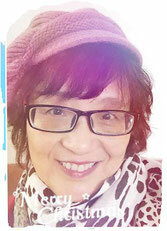 Jennifer Yu graduated from the SHANGHAI FOREIGN LANGUAGE INSTITUTE, where she majored in English Literature. She has been an ESL Teacher for over five decades, teaching in China and taught Chinese at the PEKING LANGUAGE SCHOOL in New York City. She dedicates her time now to promoting culture via Chinese language learning and writing Chinese e-books for children and adults. In 2014" KK Phonetics " published by Taiwan National Publisher. Mario Ramon graduated from Albert Merrill School, New York. He is capable of Bilingual reading, writing and speaking Spanish and English with outstanding written and verbal communication ability and highly organized, independent, results-driven, detail-oriented in his profession. Performed computer operations, systems/applications, backups, and technical troubleshooting. 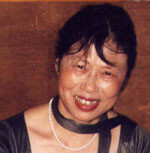 Chunyou Shi graduated from Chinese Department of He Bei University in 1966. He was a Professor in Chinese Department of Tian Jing Business College and lectured Chinese Classical Literature, Ancient Chinese, and practical writing courses. In 2001, Professor Shi was appointed as a professor of Tianjin Business University in Japanese tea ceremony as well as Chinese courses to Japanese students. 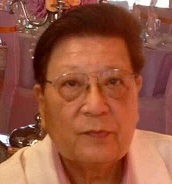 His major publications are "100 Examples of Practical literature Style " by Tianjin Baihua Literature and Art Publishing House and papers "Liu Xie on Practical Writing " etc. Nailing Cai is an excellent kindergarten teacher working at Wu Jiao Chang Kindergarten, An Shang Second Village kindergarten, and Wu Song kindergarten in Yangpu district. She has been rich experiences in the early development of children aged from 4 to 6 years old and created games, interactive activities, and other tools, including computers and focus on kids' basic skills such as shape, number, color, and letter recognition as well as social skills.